For more than a dozen years the annual auction at the Bemis Center for Contemporary Arts has been the most anticipated celebration of the arts in this region. To doubt this is to admit that one somehow has missed out on an event as ritualistic as fall itself. Crowds gather, indulge in fine food and spirits and then compete on a level playing field for work planted a year or so ago and now ripe and blossoming in Bemis’ galleries. It’s a bounty enjoyed by venue, collector and artist alike, and for the past 12 years, the harvest has been good. After months of preparation Bemis’ 13th event will open tonight in its Underground at 6:30 with a silent auction closing at 9:10pm. The fundraiser will then climax this Saturday in the first floor galleries in a silent auction ending at 7:30pm and a live auction that runs from 8-10pm. Proceeds from the auction will go a long way toward Bemis continuing its mission in the fiscal year which include its international artist-in-residence program, an annual schedule of exhibitions, various community projects and an ongoing building expansion. Based upon net receipts for the past three auctions, Director Mark Masuoka is confident that this year’s fundraiser should reach its goal of $300,000 or about 25% of its operating budget. Yet as successful and climactic as the auction has been, Masuoka believes that the event demonstrates an even greater role Bemis plays as an arts venue. The past year alone illustrates Masuoka’s point with Bemis celebrating its 30th anniversary by building five new artist studios on the third floor, thus expanding its residency from 24 artists to 36 annually; the conversion of its front entrance to a combined shipping and community garden; and the renovation of a 13,000 square foot sculpture and fabrication facility. That facility is scheduled for a spring 2012 ribbon cutting but Masuoka says Bemis is poised for even greater changes in its role and contribution to the arts at all levels. 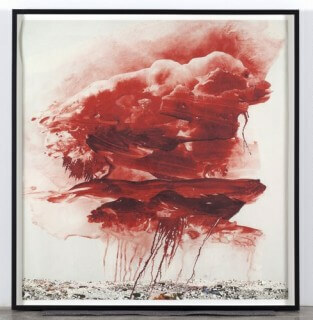 Seeing the “big picture” extends to the auction itself ever since its collector’s preview was extended to a multiple-week exhibition in 2005 with a stronger curatorial interest. Not only is the vetting process for artist’s submissions to the auction more demanding, Bemis’ staff has improved the hanging of art from a customary, scatter-gun, floor to ceiling salon style to a more organized approach. Since the auction has grown to over 280 artists represented with more than 400 works in all, chief curator Hesse McGraw says this process is more respectful and beneficial to artist and collector alike. Bemis picks up to three works from each artist invited to submit and together a price point is chosen. The artists can then determine their share of the sale price up to 50 percent. Choosing the art for display is only the beginning. How to hang this extremely eclectic collection so that “the space starts to sing,” McGraw says is the real challenge. The result, the grouping of paintings, works on paper, sculpture and new media which allow the viewer to enjoy the forest as well as the trees is visual, intuitive, conceptual and, at times, even humorous. But it doesn’t happen overnight. Individual works are grouped by a similarity in style, subject, medium and palette, usually in order to establish a flow and rhythm for the viewer. Yet the key is to include in each group a larger, more dominant work, an anchor as it were, within a designated sight line that first directs attention to a given grouping. Similar themes are echoed on the south wall with such pieces as Andrew Hershey’s “Doorways and Driveways,” Sunny Gibbons’ “Crackle” and particularly James Holmberg’s “Open Cut,” but the work here is more organic, informal in composition and broadly constructed. No matter what the strategy for the auction exhibit, McGraw is adamant that the art chosen and hung must “represent the work we are engaged in.” Veteran Bemis supporters who spend any time with the exhibit will concur and bid accordingly, but what advice can the venue offer new collectors who participate? Whether on a budget or reeling from stock market declines, a new collector might bid on the following works that caught this critic’s fancy based on groupings of his own. Not only will Bemis and the artist profit, you will have something to value rather than another depressing monthly statement. And last, and certainly not least, in the Live Auction, look especially for Jun Kaneko’s monumental “Untitled” glazed and painted ceramic dango, the aptly titled “Imperial Comorant” photo from Larry Ferguson, Therman Statom’s fantastic “Glass House,” Mary Ann Strandell’s stratospheric superstructure of her own, “Cloud,” and Keith Jacobshagen’s metaphysical landscape, “A Golden Year.” Like the 2011 auction itself these works are not to be missed.